Also known as a euro cylinder lock, this is one of the most common types of locks on flats, homes and business buildings at the present. There are a wide range of cylinder out on the market today. Often the mechanism is a pin tumbler lock. Something which is easily serviced, repaired or replaced by a professional locksmith. 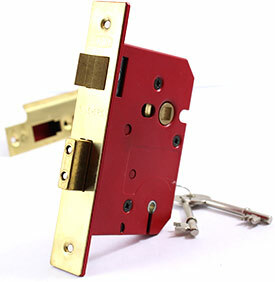 The advantages of this type of lock lies in the flexibility it provides. Your trained service provider can change the cylinder should it be needed without having to install a whole new lock given the right circumstances. If you are interested in re-keying your lock. This is also done easily if you have a cylinder lock installed. The other large locksmith Sheffield S6 discussion which is going on is on the question of how safe and secure a cylinder lock is. Again, this depends highly on the lock. The manufacturer and the time of the lock being made and installed. There are many up to date, high security varieties which are built to withstand heavy attack. As well as have had updates in design to ensure that methods like lock snapping and bumping is made impossible. Many homeowners across the country today are living with old model cylinder locks. A large risk which can easily be avoided. If you are unsure whether or not your locks are up to the standard they need to be. Contact your locally available professionals. A quick phone call is often all that is needed. There will be engravings and labels on your installed lock to help the locksmith determine what lock you have installed. Our professional crew is ready on standby all hours of the day. Feel free to call us for help with lock checks, lock repairs and replacements. You can of course get in touch for any other home or business key, lock or security requirement that you have as well. Our team are always happy to assist in any way they can. Your convenience is important to us, and we make sure that keeping secure never takes more time out of your day than it needs to take. What does a five lever mortise lock mean? One of the most common questions we get asked is the one stated above. The logical reason for this is the number of insurance policies which state a five lever mortise lock is required for validation of home or business insurance. Five is the number of pins that the lock mechanism operate with. The pins that need to be lifted in order to turn the key are an amount of five. More pins are rare, and less are not considered secure. The less pins which need to be lifted, the easier the lock is to pick. The ridges on your key is what determines the height of which the pin needs to be in order for the key to turn. In lockpicking, this is the height which is replicated using tools instead of the lock. Picking a five lever mortise lock is a hard task and requires much training, a high skill level and specialist tools to manage. Mortise lock, means that the lock is installed inside of the door itself. Not as an addition to the surface, such as many latch locks. For new installations or replacements. Although a lock can be purchased and installed by a diy capable person. It’s always best to contact a professional for the job. Incorrect alignment, the wrong type of screws and parts for the fitting and so on all play a part in providing the security that the lock is meant to have. These things are delicate and the smallest mistake can render the lock a much less secure story than perceived. More about security and lock installations to follow. To have a discussion specifically about your locks and security. Call our dedicated and highly skilled experts at any time. All security installations, lock repairs and key requirements are welcome. For home and business, from a local and friendly service crew. ← How can I find an affordable locksmith?